Combine milk with vinegar and set aside for 5 minutes to “sour”. Combine flour, baking powder, baking soda, and salt in a large mixing bowl. Whisk eggs and butter into “soured” milk. After breakfast we stayed home in the morning to let Miss Lace enjoy her new toys and play. Insert a few naps and all of a sudden it was late afternoon. We told her she could pick whatever she wanted to do as a family for the rest of the day. We gave her a few options and she settled on going to Tinkertown, a place she hadn’t been to before to ride rides. She loves the rides at Mall of America and I think she was hoping Tinkertown would live up to it. In my opinion it did not, but she still had a blast! After spending the afternoon there, Ems picked to go out for dinner for her favourite food, Thai. I always like to get a larger, more special gift for every birthday and Christmas but since the playhouse and its contents were considered Ems’ “big gift” this year, we decided to get her a few little items such as a couple Paw Patrol toys, a salad set for her play kitchen, a mermaid tail sleeping bag and a picnic basket to open on the day of. She said she LOVED all of her toys and thanked us many times! It was so cute watching her play with them all equally throughout that day. She’s also been using her playhouse TONS which really reinforces our decision to create it and all the hard work that was associated with it! See the playhouse hack we did here. We had a fun filled family day and enjoyed every second of watching her play. 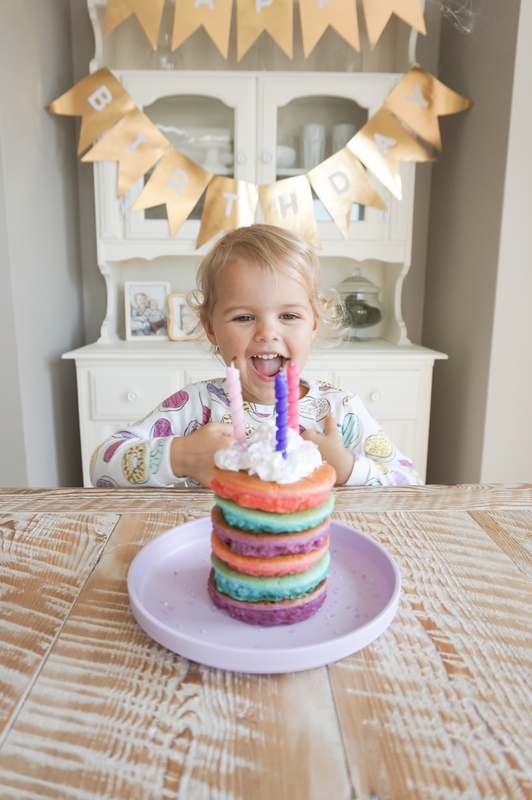 Each birthday year gets more and more special as she is able to better understand what she’s celebrating and express her excitement. Happy 3rd Birthday Miss Lace! < Previous I’m 3 MEOW!